Californians are used to droughts. When Coronado's Alysah Hickey leaped 19-feet, 3.50-inches on her first attempt in the recently completed 100th State Championships, she won the event, ending a section gold medal dry spell that dated back to 2015. Not content with that, she hit a personal wind-legal best of 19-9.75 on her final effort and immediately proclaimed she is setting her sights on legendary Olympic and World Champion Gail Devers' (Sweetwater, 1984) section record of 20-7 next spring. Such is it with athletes -- especially track athletes -- who are never content. 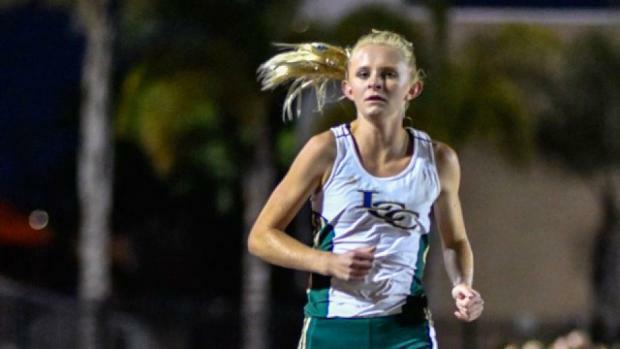 Even before the State Meet, though, the section had its headliner when La Costa Canyon senior McKenna Brown scorched a 3200-meter, setting a section record of 10:15.97, moving Torrey Pines' Alli Billmeyer (2011) down the list with a time (10:18.92) that would slip to third after the Kristin Fahy's State Meet 10:16.44. It wasn't just that Brown won that cool evening at the Escondido Invitational, it was the way she did it-running solo and lapping opponents as a motivation to keep up the torrid pace. But the Centennial State Meet was certainly a step up for the section, not only claiming that gold with Hickey, but nailing down three second places and five fourths-a bounty compared to the last few years. 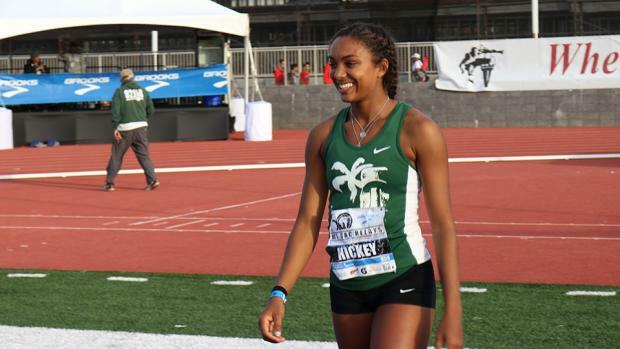 Not only did Hickey, a junior, win the long jump, she was fourth in the high jump, the only athlete to attempt the suicidal long jump-high jump double. The events are held at the identical time, which means that Hickey had to run from one event to the other to get in her attempts. It could have led to her missing the first try at the opening height after clearing it a half-dozen times warming up, which cost her a bronze medal. "It's not really a problem," she said of doing multiple events, some that are going on concurrently. "Sometimes I don't have time to change shoes, but that's about the only drawback. The 100 gets my adrenalin going and I love jumping." Consider that Hickey only started long jumping this year. The silvers all went to seniors. 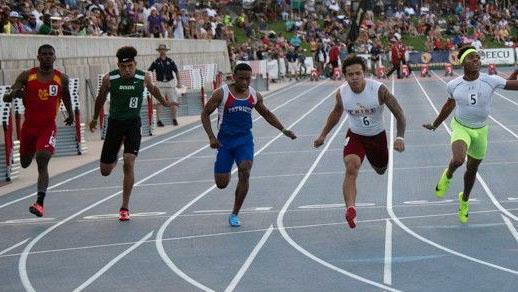 Chula Vista Eastlake's Jalyn Jackson showed up at the State Meet with a slight limp, explaining that his hamstring was feeling a little tight. Among the state leaders in the triple jump, where he was second as a junior, and the long, which he won at Arcadia, Jackson didn't look confident after the trials. Looks are deceiving to a multi-sport athlete like Jackson who made it two silvers in the triple jump (49-3 after a best of 49-10.25) and a bronze for 3rd in long jump (23-08.50 with a season-best of 24-5). He'll take that double with him to Cal. San Dieguito pole vaulter Kevin Ward soared 16-5 in the pole vault in the section finals and topped 15-10 without a miss to get his silver medal. He then joined the big crowd in watching Davis' Sondre Guttormsen scale a State Meet record 17-10 before missing at 18-3. One more senior athlete who bears watching is Rancho Bernardo's Josh Farmer. It's not so much for his 5th-place finish in the 300-hurdles, his favorite event, but because he won the Arcadia Invitational decathlon and no one would be surprised if he were the next American to make noise in that event while attending Colorado. 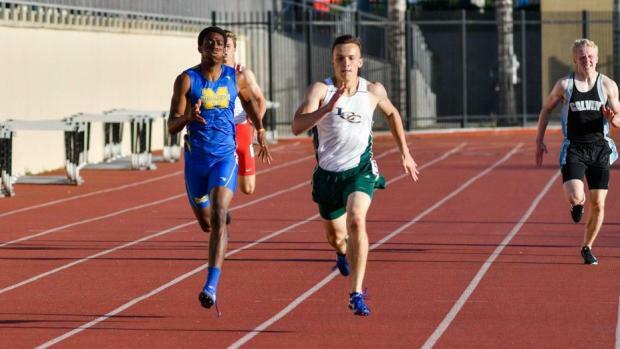 Lots of knowledgeable track fans blinked when they saw three San Diego Section runners advance in both the boys 100 and 200 and the girls 100. Considering three is all who qualify, that's impressive and the best will be back. Another junior, Westview's Izel Smith (10.74 PR), also made the State final in the 200 (21.91 for 9th after running a 21.63 PR for 3rd at the Section final). On the girls' side, freshman Aysha Shaheed of Madison turned heads when she ran 11.95 in the state prelims and finished eighth in 12.00. Expect some thrilling duels between her and Hickey next season. Had the San Diego Section girls pole vaulters reached their PRs in Clovis, they could have ascended to the top of the victory stand. Poway juniors Mia Cervantes (12-6) and Camryn Thomson (12-5) made the State final in one of the section's most successful events. Of course, standouts like Cathedral Catholic's Joaquin Martinez de Pinillos (9:04.41 for 3200 meters), Rancho Bernardo's Josh Farmer in the 300 hurdles (37.81) and weight standout Nu'u Tuilefano of El Camino (44-5 in the shot and 151-2 in the discus) will be missed. 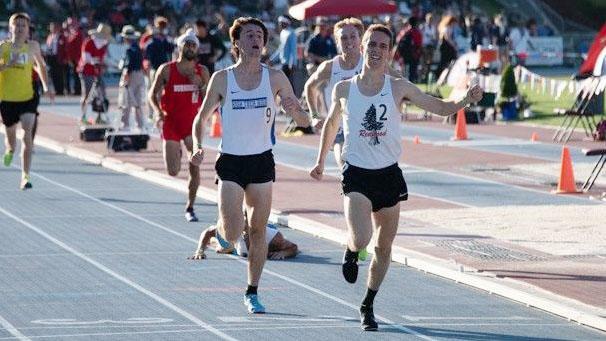 But the most notable returnee next year will be La Costa Canyon's Karson Lippert, who ran 46.91 in the 400 as a sophomore and was just rounding into peak shape (21.19 in the 200) when he suffered a hamstring pull in the section 4x100 relay prelims and was finished for the rest season. Big losses, for sure. But it's never too early to start looking ahead to 2019.